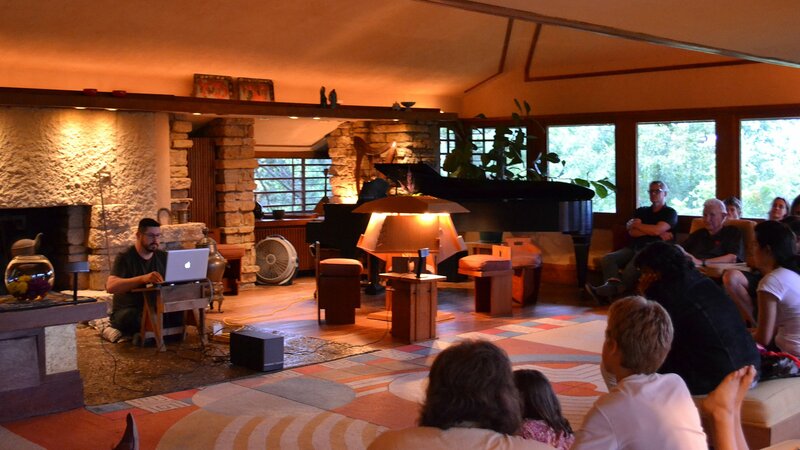 What A Man Does That He Has was a site-specific sound performance created at the Taliesin Artist Residency Program in Spring Green, WI. 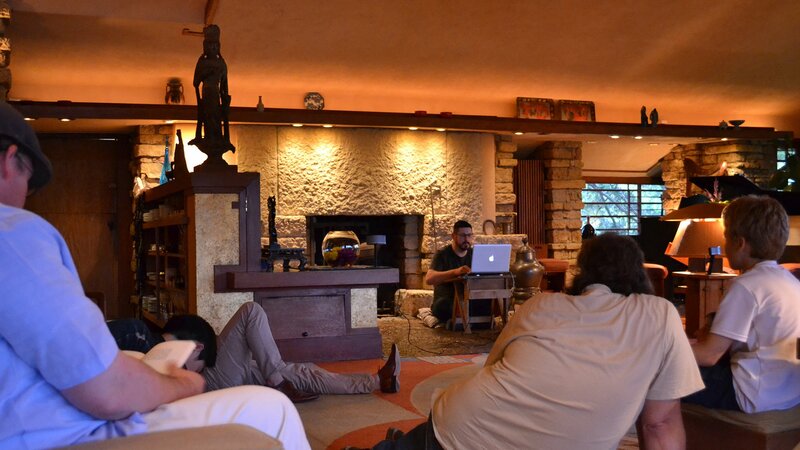 The performance incorporated sounds collected in and around the Hillside Studio/Dormitories and synthesized sounds created to echo the general atmosphere and energy of Taliesin. 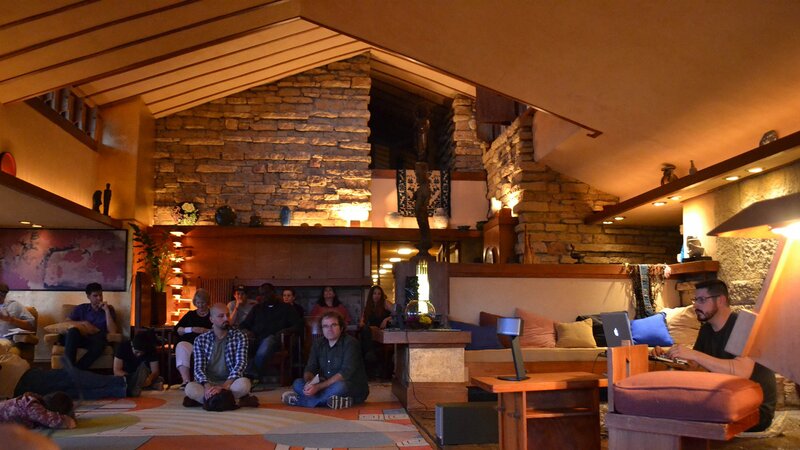 What A Man Does That He Has was performed in Frank Lloyd Wright’s living room at Taliesin.